Our Mission is to be the hands and feet of Jesus to orphaned and "at risk" children both locally and internationally, and to empower the families who are parenting these children. Raising awareness of the vast needs and numbers in our community and around the world. Build a support system between the church family, foster families and adoptive families. 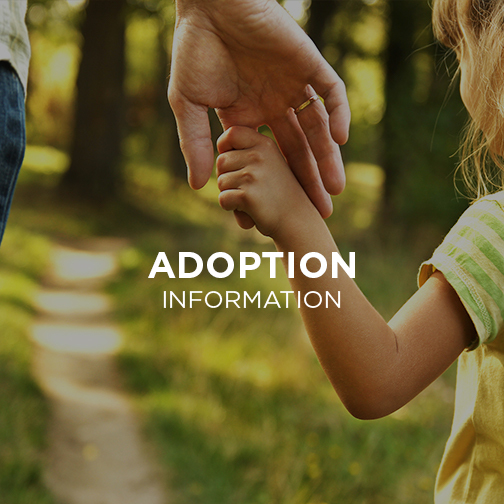 Answer questions and help those interested in foster care or adoption. 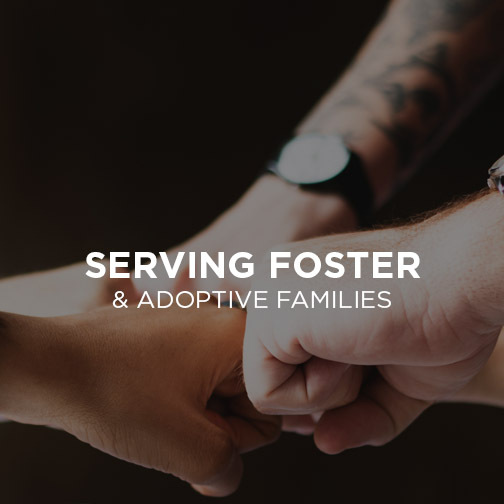 Connect foster families and adoptive families with available services and networks in the community and church. Host events and educational seminars on relevant topics. Support Safe Families for Children, a temporary care for children in need while parents have time to establish stability in their homes without state involvement. Pray for God's guidance through this process. Domestic adoption of infant or older child. 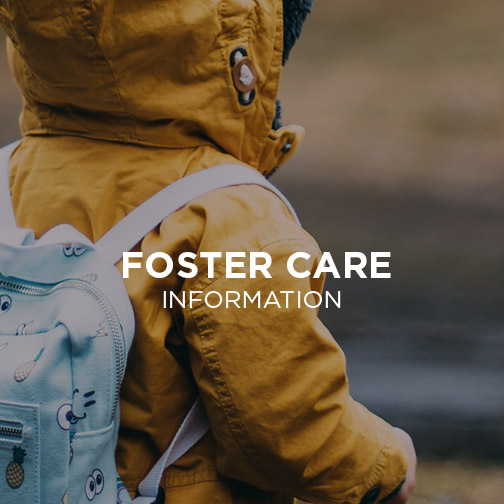 Are you interested in sharing your story on our website of how God brought you to the place of foster care or adopting? We would love to hear from you! This is such an encouragement for others who are going through the process and even those already through it. Over 300 children are waiting to be adopted. Over 3,000 children become legally free to be adopted every year. Over 14,000 children are in foster care. There are over 153,000,000 orphaned or "at risk" children. I thought about adopting for many years, but God continued to bless us with biological children and our hands and hearts were full. When our youngest was about 5 I began to explore fostering newborn babies short-term between hospital and adoptive homes. Pursuing this led to a dead end. There weren’t classes available at the right time, too far to go, not affiliated with a particular church, etc. I said I could never foster children and watch them return to their biological homes. That would be too hard! So I didn’t pursue that avenue of foster care. When we moved from Dallas to San Antonio, I spoke with a woman in Hobby Lobby who was fostering through Baptist Child and Family Services and something stirred in me. She encouraged me to call them. I spoke to my husband, thinking he would not have the time or desire to go through classes, but he said, “Sure, I can do that.” Three months later, we were “licensed” and had our first two foster boys. They stole our hearts! Yes, when they left, our hearts felt like a part had been ripped out and gone with them, but we tried to focus on the ministry God had given to us for these children: to love, care, pray over and teach about God while in our home. We fostered for five years, all boys, until our last foster child. Sarah, at 4 months old, arrived at our home on a rainy night. We immediately fell in love with her. As it turned out, her biological mom’s parental rights were terminated (an emotional roller coaster ride for us) and we were able to adopt her when she was 2 ½ years old. Although, we did not start out with the plan to foster to adopt, God blessed our family by adding our youngest child through this avenue. We have kept in touch with one of our first foster boys who lived with us from age 2 to 4. He is now 11. I pray that God will work in his life to bring him to a saving knowledge of Jesus Christ. And just maybe, it will be in part due to our prayers and the seeds we have planted in his heart. It was four days before Thanksgiving 2011 when Wibke called me at work: “Are you ok if we take in three kids for a week while the mom waits for a new apartment? They are homeless.” We’d taken in people before in both London and Hamburg, Germany and doing so in Tampa was nothing new. What was new was the desperate situation of these children, not to mention the siblings who entered other families’ homes. What should have been a week turned into a few months involving mom, CPS, government agencies and various ministries throughout the city. Through that period Christians from a number of churches ministered to the children, tried to help mom, and worked with the system to give mom every chance of creating a safe and healthy home for her children. The next few years saw the children restored to mom, returned to us, restored to mom, and then returned to us once more. The faith community in Tampa organized birthday parties, sourced Christmas gifts and celebrated the uniqueness of each of the children. Our earnest desire was that this family make it. As time progressed and mom stalled on working the case plan, it became obvious that this was a hope that was going to be dashed. The move to Holland went smoothly and some of the children received permission to visit us that winter, experiencing their first snow. During that visit it became increasingly clear that mom’s rights would be terminated and that nine children would be placed for adoption. Wibke began discussing the situation with the Tampa foster families. Finding homes for children from under one year old to nearly seventeen would not be easy. 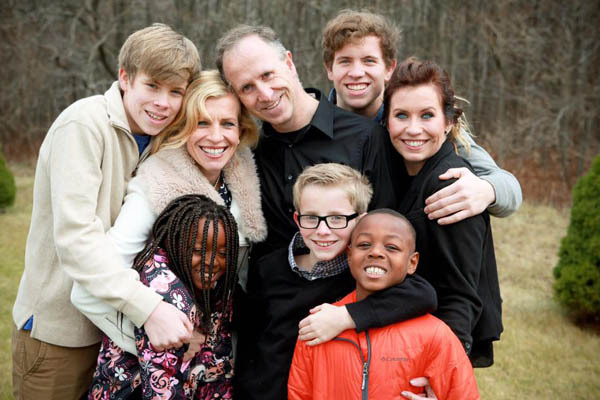 Each of the families committed to pray and the Lord laid it upon Wibke’s hear to see whether families in Holland would be willing to adopt the children. God moved on the hearts of a number of families and March 2016 saw the first wave of children move to Holland permanently. It was an interstate foster process which wasn’t the easiest to organize but we made it. Finally on April 4, 2017 in a crowded courtroom in Tampa, Judge Warrd finalized the adoption of Anmerose and Jayden. Our family of six now became a family of eight. 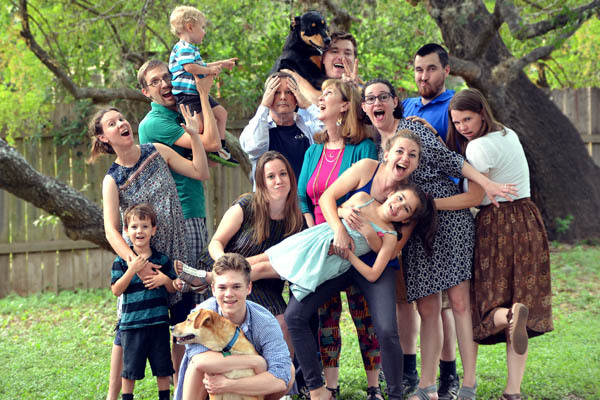 A journey that began unexpectedly in November 2011 in Tampa ended with nine children finding forever families in a completely unexpected way.